Amit has one of those fancy Vinturi wine aerators, and he challenged me and my trusty Riedel Syrah decanter to a wine aeration duel. It wasn’t a very scientific experiment–no double-blind randomized testing here!–but it was a delicious one nonetheless. True to form, he preferred the wine aerated through the Vinturi, whereas I preferred the wine aerated in my Riedel decanter. Decanting for about half an hour (or running it through the Vinturi for three seconds) did in fact improve the wine, making it fuller. Still, the green notes persisted, though those weren’t unpleasant. Overall: a good impulse buy, though a tad expensive for the quality ($28.50). Give me a basic René Leclerc any day! Park Ave may still have bottles of Leclerc Bourgogne Rouge ’02 and it’s fully mature and should be drunk up – good news is that it’s still around $20 I think. If you’re willing to pay $68, you can get a ’02 Gevery-Chambertin Lavaux St. Jacques for 1er, which is not too shabby; the ’99 Leclerc Griotte-Chambertin is great but it’s a bit pricey at $120. They’ve got loads of back vintages – I’d make some recommendations if you’re willing to go nuts. Website is currently down. Crush Wine is another good place to source burgs. With older burgs, I’d be careful about throwing them in big decanters, which would oxidize them too quickly – so the carafe is the way to go. I’ve heard mixed opinions about aerators. Yeah man! 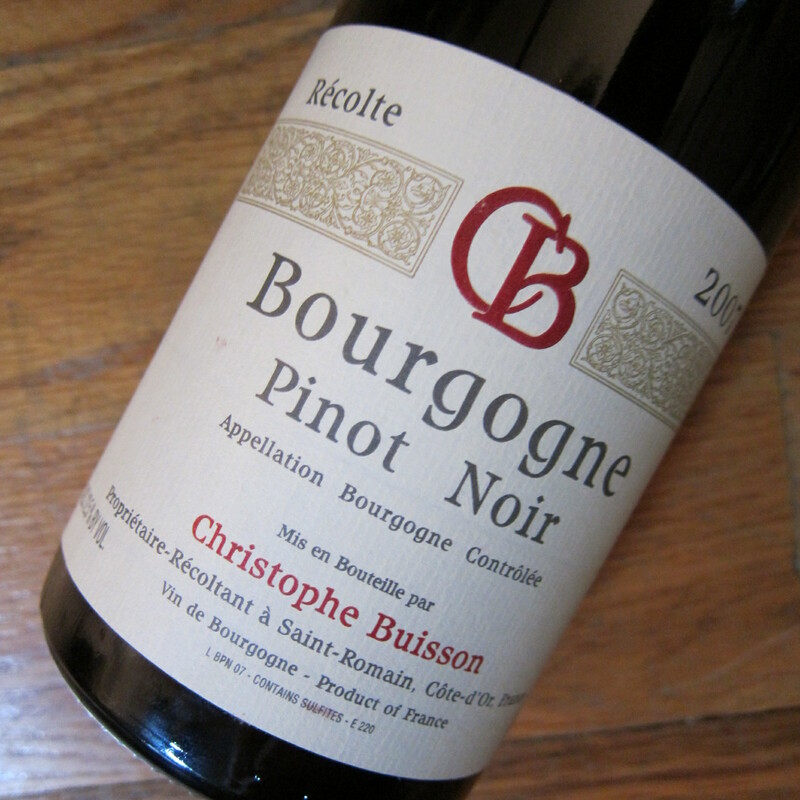 I’m always down for good Burgundies. As with most people, however, the limiting factor is my budget! Bourgogne- or village-level, or maybe 1er cru for now to splurge. I’m still not convinced about aerators. I personally think using them is just like swishing your wine around in your glass very quickly. There’s still a time element necessary to open up wine and not just a mechanical element. It’d be nice to see hard scientific data on this issue. Sometimes impulse buys are the best!